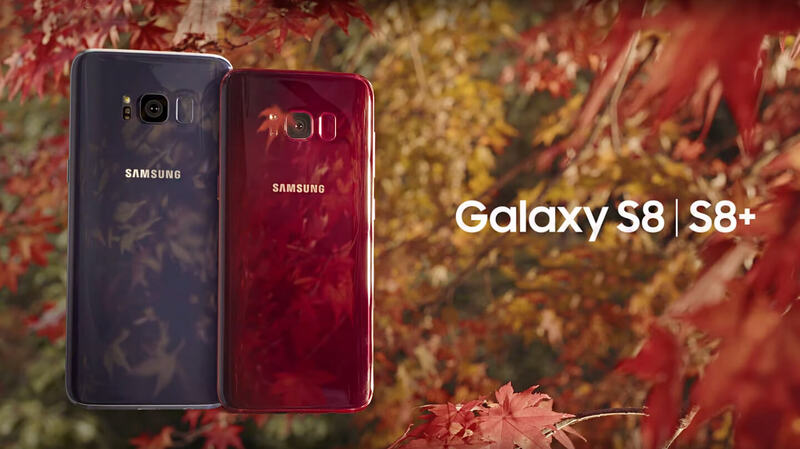 Samsung releases the elegant Burgundy Red edition for its premium Galaxy S8 smartphone, bringing the total number of color options to 7. 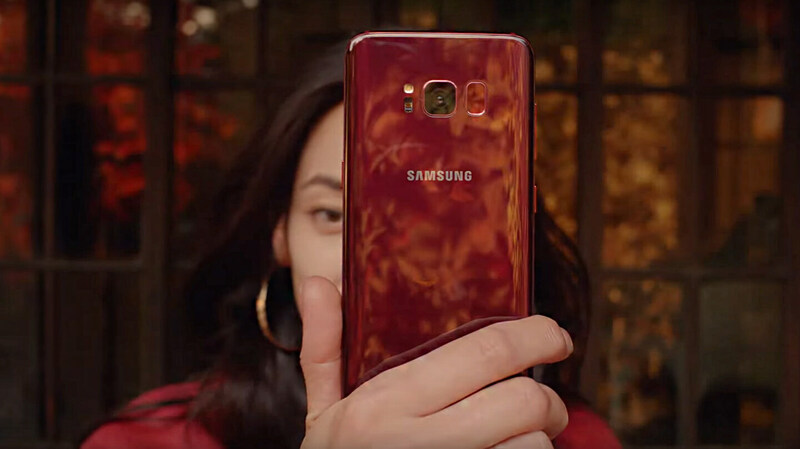 Samsung Electronics has officially announced the release of its seventh color for the Galaxy S8: Burgundy Red. The elegant edition will be available first in Korea beginning today, before rolling out to select markets. During the introduction of the Samsung Galaxy S8 in March this year, the premium smartphone was available in just three colors; Midnight Black, Orchid Gray and Arctic Silver. Not much later the Maple Gold and Coral Blue variant appeared. The Galaxy S8 Rose Pink edition was added at the end of September. This isn’t the first time a new color debuts in just one region or country. At first, the Rose Pink edition was only available in Taiwan. Eventually most colors will be introduced worldwide. So far, Samsung did not yet mention any specific markets besides Korea. 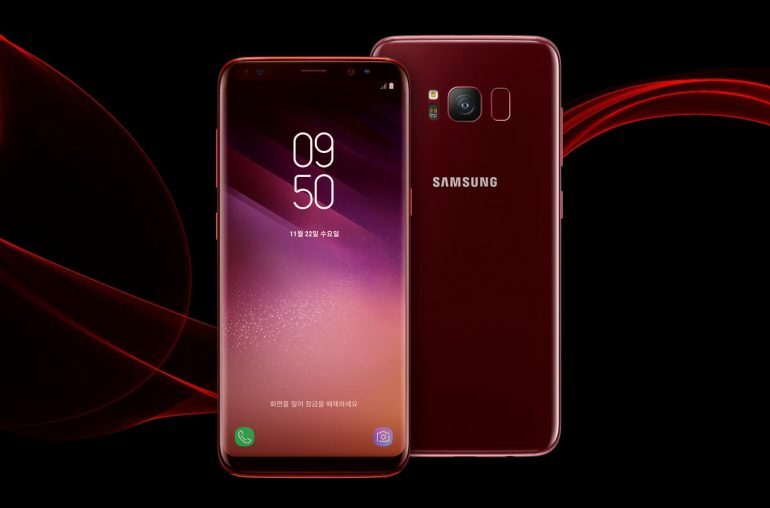 As the Galaxy S9 will arrive in just three months, you may expect the Galaxy S8 Burgundy Red edition to be available in some other markets before the end of the year. Samsung says; The new, luxurious hue accentuates the elegance of the Galaxy S8’s ergonomic glass and metal form, creating a seamless and refined aesthetic that will resonate with a wide range of tastes. In addition to a sleek, bezel-less design, the 5.8-inch Galaxy S8 features an array of cutting-edge mobile technologies. It was the first smartphone to be driven by the Snapdragon 835 processor (Exynos 8895 in the USA). The S8 features a fingerprint sensor and an iris scanner, but no face recognition like the Note 8. 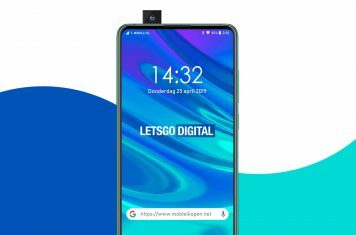 It comes with a 12MP f/1.7 rear camera and an 8MP f/1.8 selfie-camera. Although it’s not a dual camera, it’s one of the best cameras implemented in a smartphone. And of course the much discussed Bixby assistant is also available. The premium Samsung Galaxy S8 smartphone is water and dust resistant. It features a 3.000 mAh battery and comes with 64GB internal memory, which is expandable. Besides Burgundy Red, the Galaxy S8 is also available in Midnight Black, Orchid Gray, Arctic Silver, Maple Gold, Coral Blue and Rose Pink. In the past we also spotted a S8 in Anemone Purple, but this color variation has never been made official. The Samsung Galaxy S8 Burgundy Red will have the same retail price as other color editions.